The cabochon cut helps moonstone to best display its phenomenon. Adularescence is the light that appears to billow across a gemstone. Fine moonstone is colorless and semitransparent to transparent. Moonstone is formed of two feldspar minerals, orthoclase and albite. Moonstone’s shimmer of light is apparent even in its rough form. This twinned moonstone shows good crystal form with flat faces. Moonstone is a variety of the feldspar-group mineral orthoclase. During formation, orthoclase and albite separate into alternating layers. When light falls between these thin layers it is scattered producing the phenomenon called adularescence. 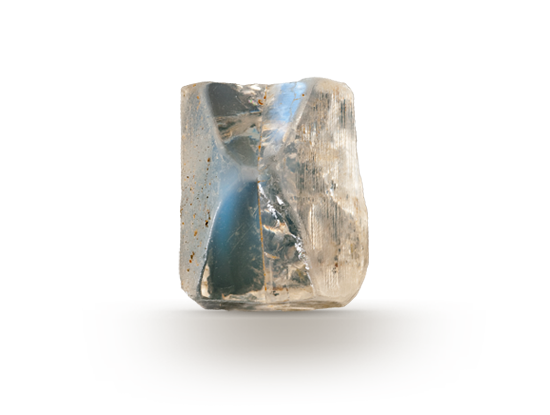 Adularescence is the light that appears to billow across a gem. Other feldspar minerals can also show adularescence including labradorite and sanidine. Moonstone is a birthstone for June, along with pearl and alexandrite. Moonstone’s unearthly glow is caused by light scattering between microscopic layers of feldspar. The minerals in the feldspar family make up more than half of the Earth’s rocky crust. Feldspar layers that create moonstone’s sheen are similar to the size of a wavelength of light. Rare in top qualities, this ethereal gem derives from one of the earth's most common minerals. Stacked layers of orthoclase and albite diffract light, creating moonstone’s adularescence. 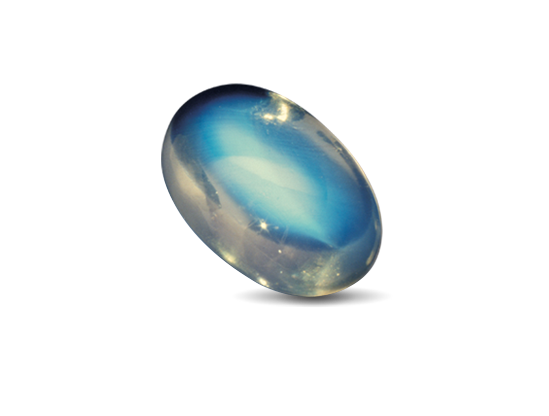 Besides adularescence, moonstone sometimes also shows a cat’s-eye effect. An assessment of the following characteristics determines moonstone’s value. The finest moonstone is a gem of glassy purity with a mobile, electric blue shimmer. Characteristic inclusions include tiny tension cracks called centipedes. 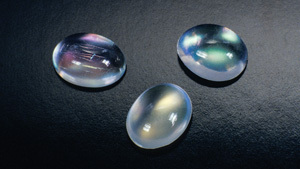 As it displays moonstone’s phenomena to best advantage, cabochon is the common cut. Moonstone comes in a wide range of sizes and carat weights.